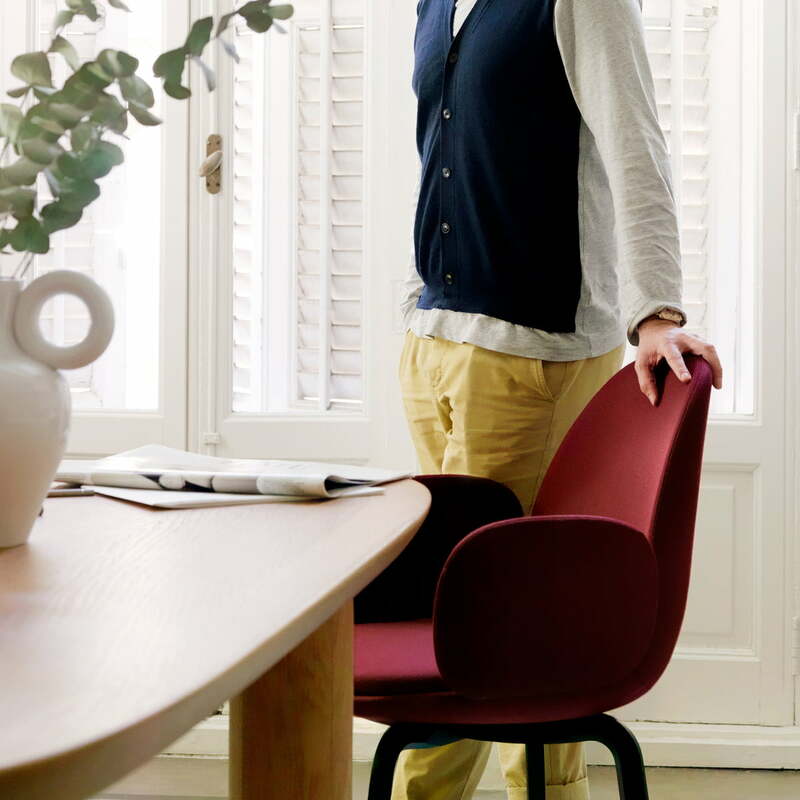 Sammen is a comfortable chair by the designer Jaime Hayon. It is available in different editions, with and without armrests and it convinces with a modern and also comfortable appearance. 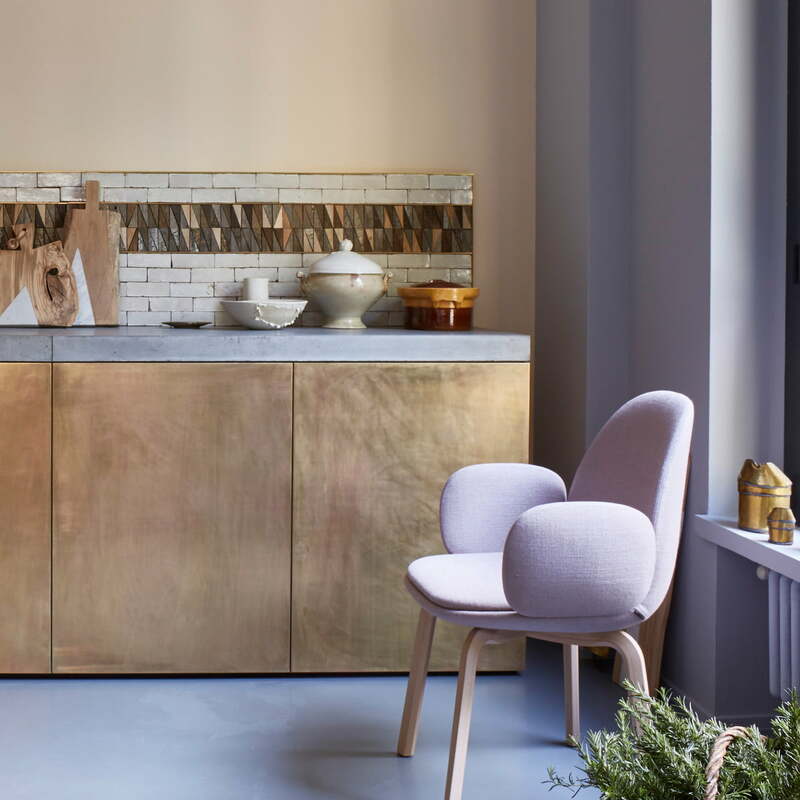 The combination of wooden base and fabric covers of different colours are the reason for the eye-catching qualities of the chair, which adapts to every surrounding. The Sammen armchair is equipped with cushions in the back and in the seat, for more comfort. The textiles are available in six different colours: blue, dark green, yellow and burgundy up to grey and a soft pink tone, which promise a big selection for the chair to be adapted to the most different ambiences. The four-legged base is made of oak wood and available as natural edition or lacquered in black. The Danish word Sammen for “togetherness and enjoyment” describes how happy the evenings with the comfortable chair by Fritz Hansen can be. The cushioned Sammen chair offers pleasant comfort at great meals, charming conversations and relaxed togetherness with the flexible foam upholstery. The Sammen armchair is also available in the further colours as well as coated with leather with dark or bright bases on demand. Single image of the Sammen Armchair in Grey by Fritz Hansen. 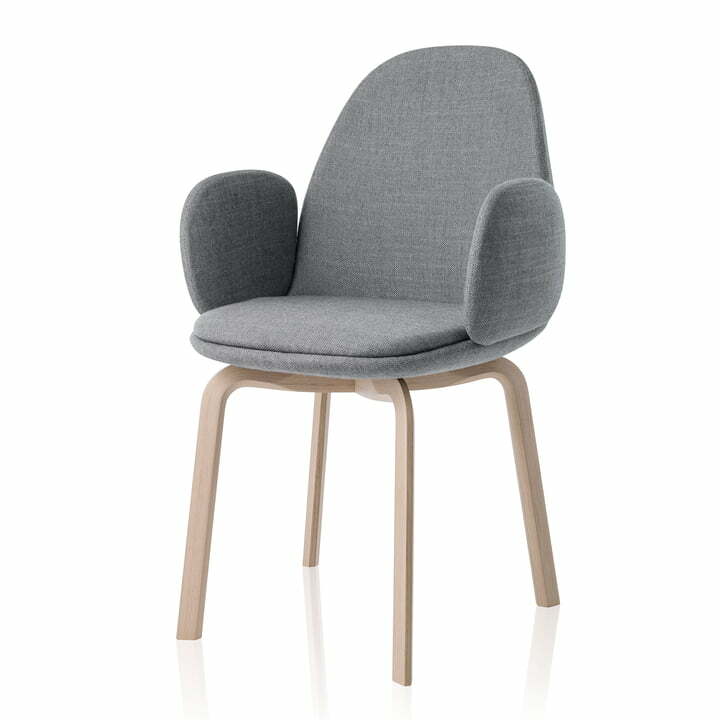 The comfortable chair in light grey by designer Jaime Hayon offers a seating height of 45,5 cm in a modern cosy optics. Single image of the Sammen Armchair in Blue by Fritz Hansen. The comfortable, dark blue chair by designer Jaime Hayon offers a seating height of 45,5 cm in a modern cosy optics. Single image of the Sammen Armchair in Yellow by Fritz Hansen. The comfortable chair by designer Jaime Hayon offers a seating height of 45,5 cm in a modern cosy optics. Whether in the living room at the dining table, desk or as easy chair in the reading corner: The Sammen Armchair in dark red (burgundy) by Fritz Hansen can be used in many different areas and convinces with its cosy, comfy and at the same time modern design.